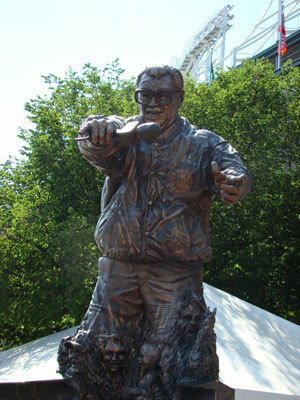 Eleven years ago today Harry Caray passed away in a California hospital. Harry had collapsed in a Palm Springs restaurant waving to fans after taking wife Dutchie out on Valentine’s day. He never regained consciousness and died on February 18, 1998. He was a beloved figure at Wrigley Field and has been missed by many. Harry’s memory is honored each home game when a “guest conductor” leads the 7th inning stretch as Harry had all those years prior.